JoePass! 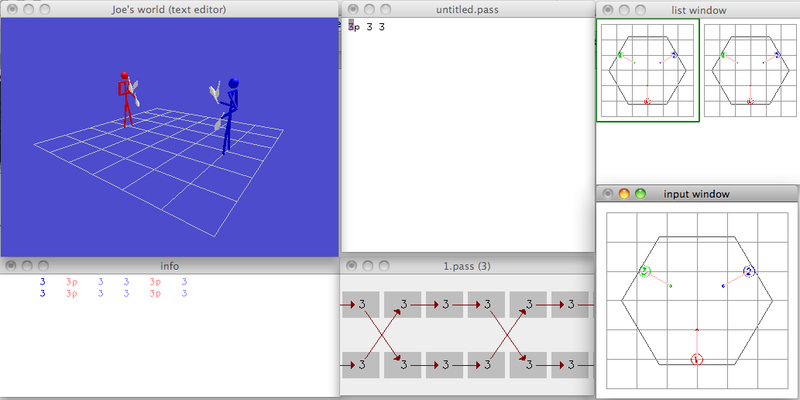 is a animation software for juggling patterns. Executables avaible for windows, mac os x and linux (with wine). This program has been successfully tested on several systems. However, I am not liable for any problems resulting from this program; use it at your own risk. The program may contain some bugs I haven’t found yet, so please save all your important files before running JoePass!. (I had no problem running it on my computer, but you never know.) If you encounter any problems, please contact me. You may use JoePass! for your private purpose for free. If you plan comercial usage, please follow this link.